New Hitas apartments in maritime Kruunuvuorenranta! 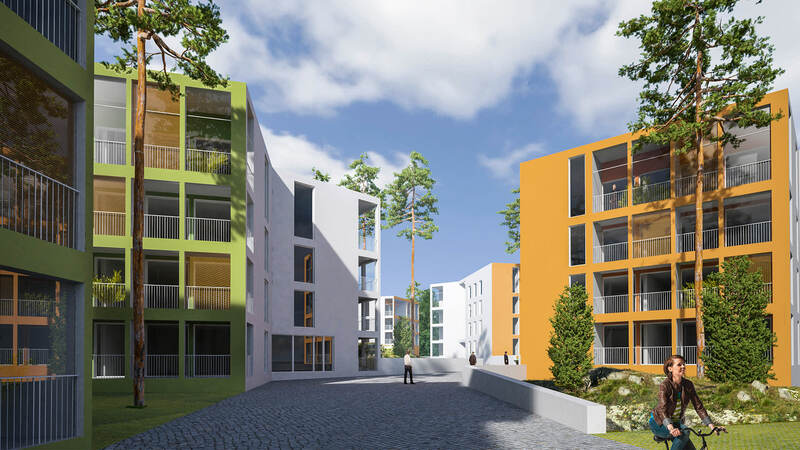 Lorentz will be built on Gunillankallio in Kruunuvuorenranta, a peaceful lot bordering on a park. The diverse housing cooperative consists of four apartment buildings with elegant YIT Homes from one-bedroom homes to four-bedroom family homes to choose from. The homes of Lorentz have interesting floor plans, large balconies and fun details! Kruunuvuorenranta will become a unique area that combines varying archipelago nature, waterfront boulevards and manor parks. The exquisite silhouette of downtown Helsinki looms over the sea view and in the future, you can travel to the city center by tram, as the bridge crossing Kruunuvuorenselkä is completed.